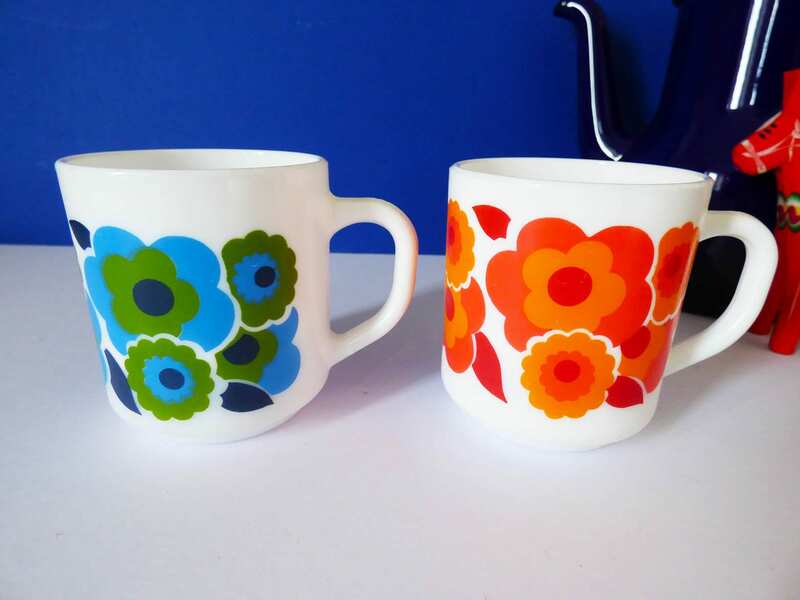 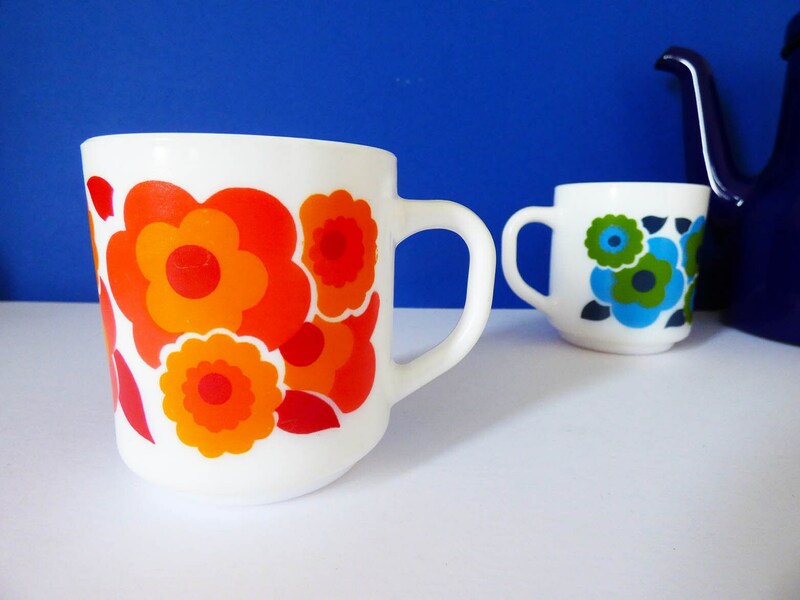 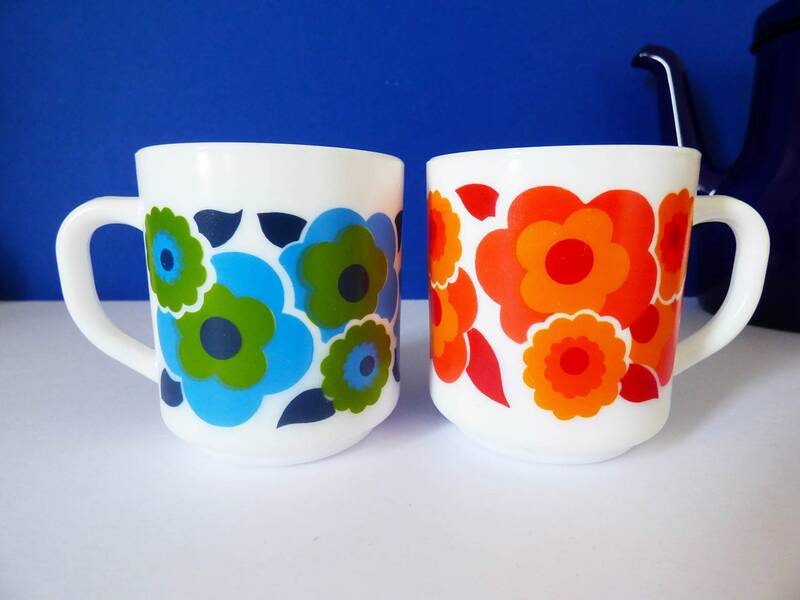 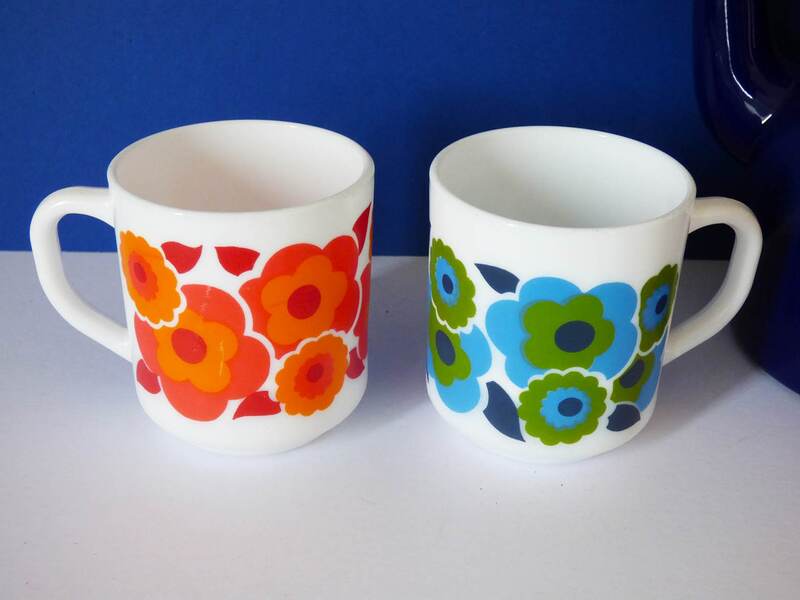 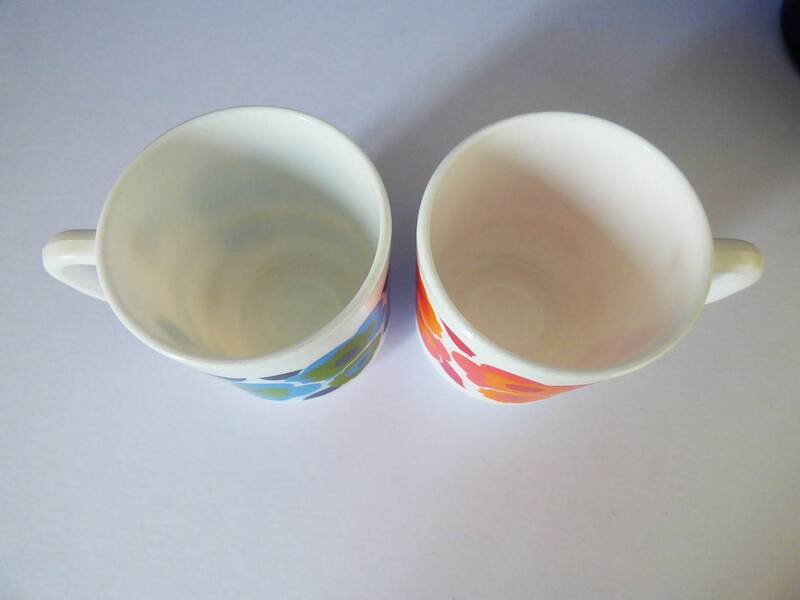 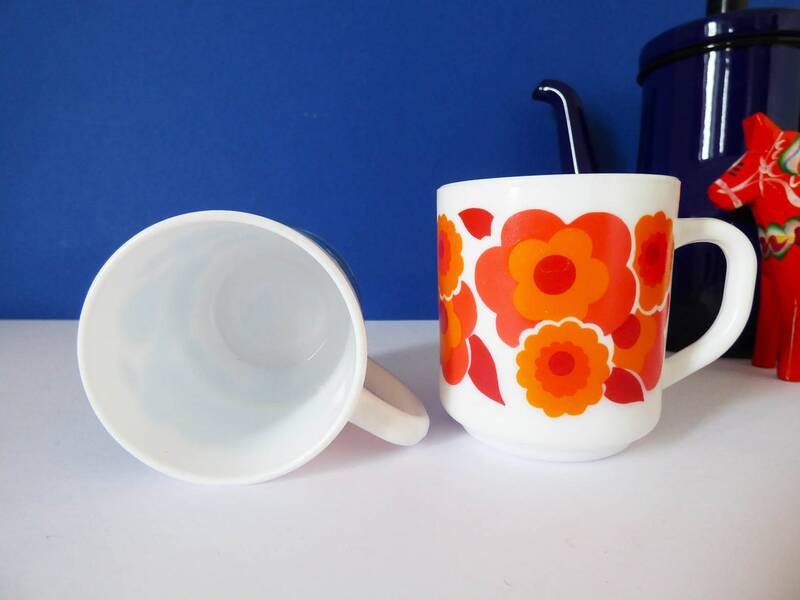 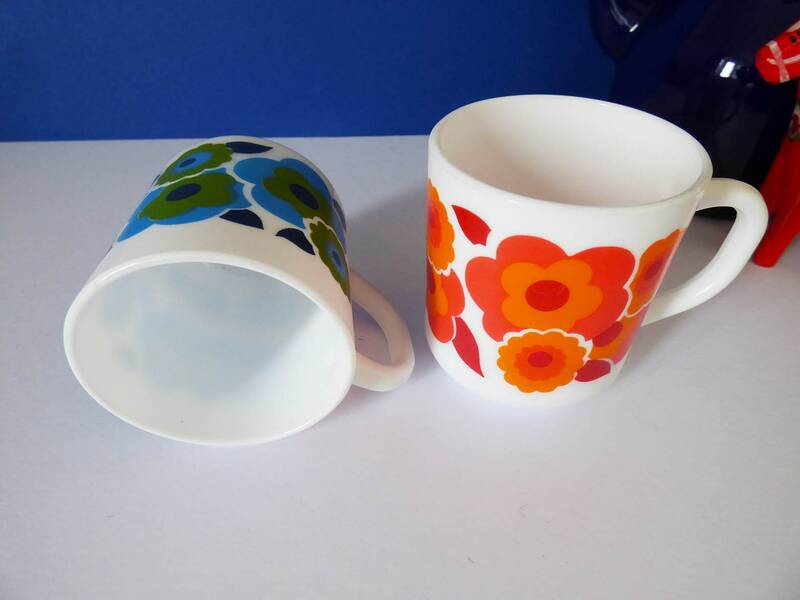 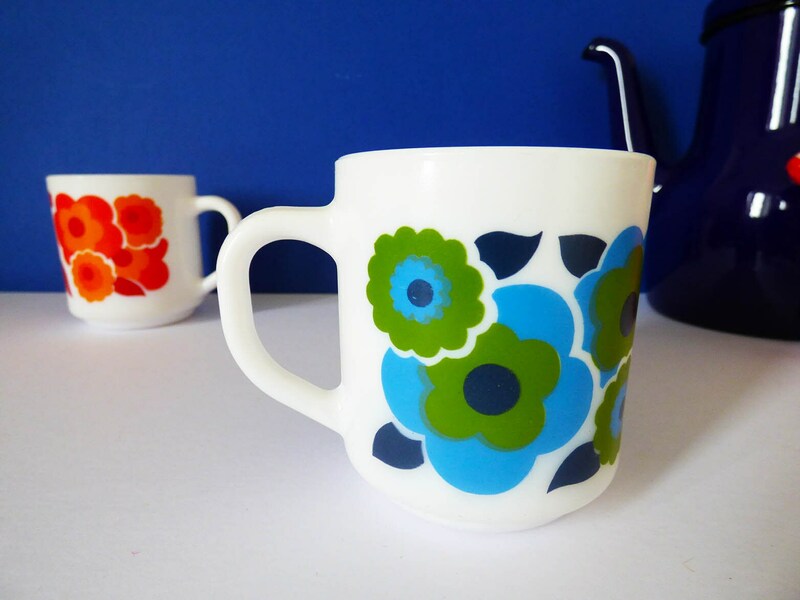 Two lovely vintage mugs, created from milk glass, with a super groovy design of flowers. 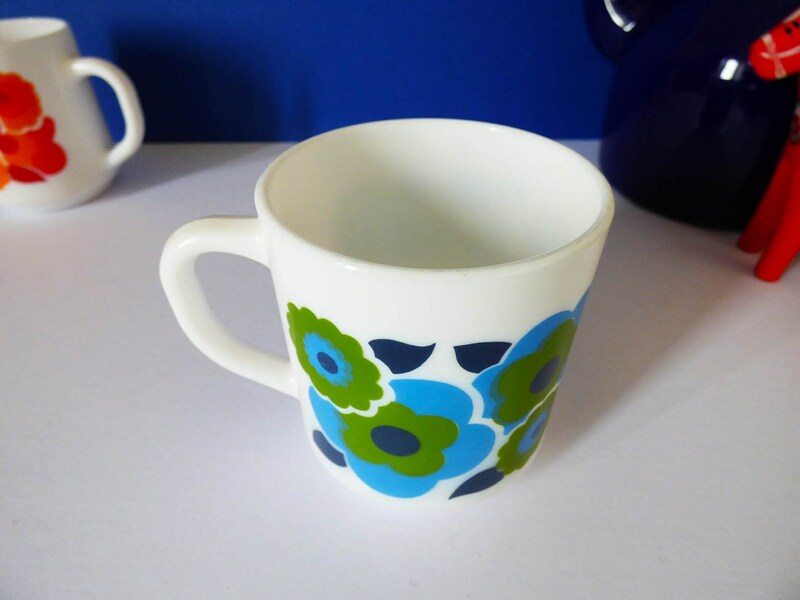 A little smaller than a standard sized mug, this beauty measures 9cm tall and 7.9 cm in diameter. 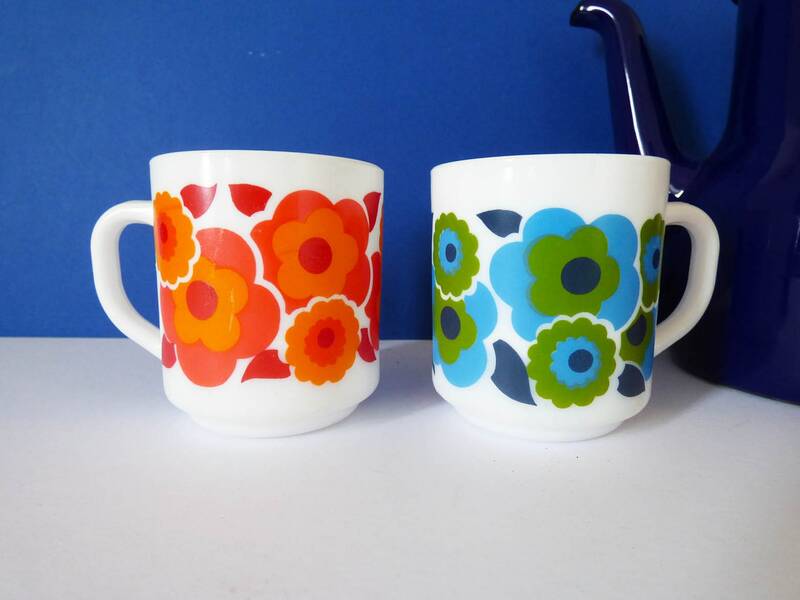 A great find, which would make a great gift for a hippy happy couple, or maybe just a little treat for yourself.